His first notable foray into trance music production saw him collaborate with Def Tactical whilst also releasing a Project 6 E.P. at Five AM Records. This was followed up by a release called Destination 6. It received Tune of the Week status on Armin van Buuren’s radio show A State Of Trance and was supported by the biggest names on the planet. The next single led to Mark signing with Armada Music. Fade 2 Black was, once again, selected as Tune of the Week on ASOT, truly cementing Mark as one to watch within the world of trance. Armin van Buuren then selected Mark’s tracks for his annual, platinum-selling A State Of Trance compilation three years in a row. In addition to the compilations, Armin also featured one of Mark’s tunes on his Wii Game and gave him the opportunity to remix Minack, his massive collaboration with Ferry Corsten. Since then Mark has gone on to release on some of the biggest labels in dance music, including but not limited to: Armada, Black Hole, Spinnin’, High Contrast and Flashover. Also on his list of achievements is the mix compilation Worldwide Trance Sounds Vol. 6 on Armada Music. 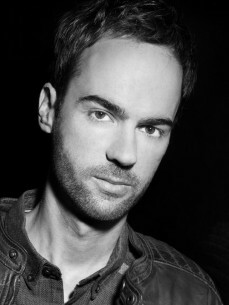 Mark Sixma has toured extensively, with big performances across the globe alongside top DJs like Armin van Buuren, Ferry Corsten, Gareth Emery, Judge Jules, Markus Schulz, Paul van Dyk, Sander van Doorn and W&W. The pinnacle of Mark’s DJing career to date was performing at A State Of Trance 550 and 650 in 2014. Mark has made appearances at several outdoor festivals including one of Europe’s biggest dance festivals, Nature One (two times). He has also performed at Electronic Family and the Escapade Music Festival. In 2013, Mark Sixma made his debut on W&W’s fast-rising label ‘Mainstage Music’ with his epic smash ‘Requiem’. This fought off competition to hit the Beatport Trance Chart at #1, beating the likes of world number one DJ and producer Armin van Buuren, whilst also holding the #1 slot on major digital download sites Audiojelly and Trackitdown, achieving a unique hat-trick of chart-topping positions!